GSMA today announced that mobile operator data revenues will overtake voice revenues globally by 2018 as we move towards a fully connected world. At Mobile World Congress 2013 in Barcelona, the GSMA will unveil the Connected City, allowing attendees to experience first-hand the city of the future where everyone and everything can benefit from intelligent wireless connections. The GSMA today announced that the CEOs of Intel, Microsoft, Nokia, NTT DoCoMo, RIM, SoftBank and Yahoo! 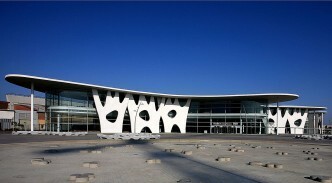 will be making keynote speeches at Mobile World Congress, which will be held 14-17 February, 2011 in Barcelona. The GSMA also provided further details on its conference programme and announced new ADCs as part of its App Planet event at Mobile World Congress. The GSMA today announced that the Global Mobile Awards 2011 are now open for entry. The Global Mobile Awards, which recognise excellence, achievement and innovation within the mobile communications industry, will be presented at the Mobile World Congress in Barcelona on Tuesday 15th February 2011. 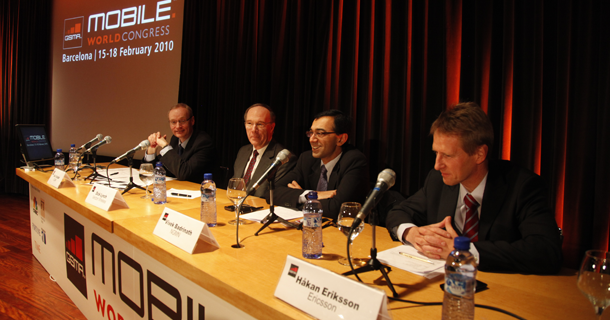 The GSMA today announced several new developments for the 2011 GSMA Mobile World Congress, which will be held 14-17 February, 2011 in Barcelona. Building on the success of the inaugural App Planet event held in 2010, the GSMA is expanding the developer-focused programme at the GSMA Mobile World Congress 2011 to include new elements such as Macworld Mobile and the Brand App Challenge. The GSMA today reported significant progress with its Rich Communication Suite (RCS) initiative, a service that provides mobile operators with a feature-rich portfolio of interoperable communication services, enabling customers to access a wide range of advanced messaging applications direct from their handset’s contact list. The GSMA today announced the launch of a commercial pilot in Canada as part of its OneAPI (Open Network Enabler Application Programming Interfaces) initiative, working with the country’s leading mobile operators Bell Mobility, Rogers Communications and TELUS to demonstrate the viability and benefits of providing developers with standardised application programming interfaces (APIs) for mobile networks.